In 1987 Albert B. Craig Jr., acting as President of the Foundation, entered into an agreement with the University of Pittsburgh School of Medicine endowing a Chair (professorship) to be known as “The Staunton Professor of Pediatrics and Psychiatry.” In the past, the function of the Chair has been to conduct research into developmental pathways for a broad range of mental, emotional, and behavioral health problems in youth. 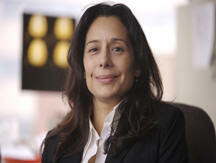 In 2013, the University of Pittsburgh appointed Dr. Beatriz Luna, PhD as the Staunton Professor of Pediatrics and Psychiatry. She and her team have an impressive background in the neuroscience of adolescent brain development. Learn more about Dr. Luna and her work.